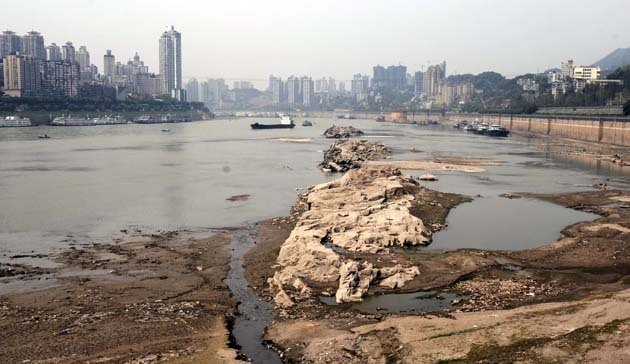 A four-month drought has left nearly 190,000 people short of drinking water in a county in Chongqing municipality, according to a local water conservancy official last Monday. Water shortages had been reported in nearly 80 villages and 20 towns. To remedy the problem the water conservancy bureau had sent water trucks to the drought-hit areas in addition to diverting water from neighbouring areas.